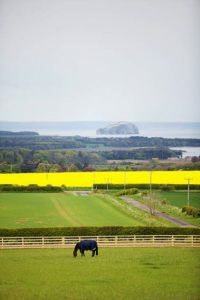 Little Spott Steading is a redevelopment of an East Lothian steading into thirteen homes, set in a semi-rural position overlooking the Firth of Forth. The project involved the restoration of sections of the stone steading while areas beyond repair were reconstructed in the original East Lothian sandstone cut and dressed from the existing buildings. The exterior of the dwellings are completed in traditional stone with pan tile roof finishes. The doors and windows are all in traditional finished timber. The walls are constructed in natural stonework by Colorado’s local stone masons. 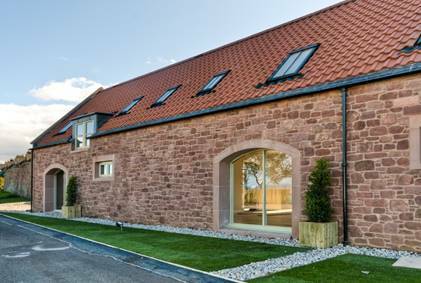 Colorado Construction have created an enviable combination of traditional craftsman-finished red sandstone homes, while seamlessly installing all of the features for a high-specification modern home. 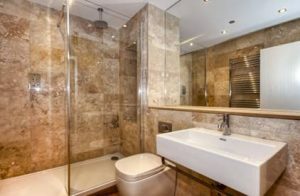 Colorado have highly experienced tradesmen at ease in delivering high-end fit-out works and this expertise has been put to good use incorporating hardwood floors and features into the well specified interiors. 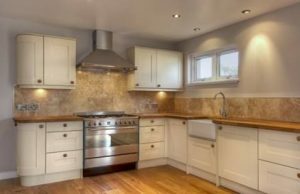 The steading development includes high-end specification finishes throughout, with state of the art sound and lighting integrated into the fabric of the dwellings. The exterior of the dwellings are completed in traditional stone with pan tile roof finishes. The doors and windows are all in traditional finished timber. The walls are constructed in natural stonework by Colorado Construction’s local stone masons.